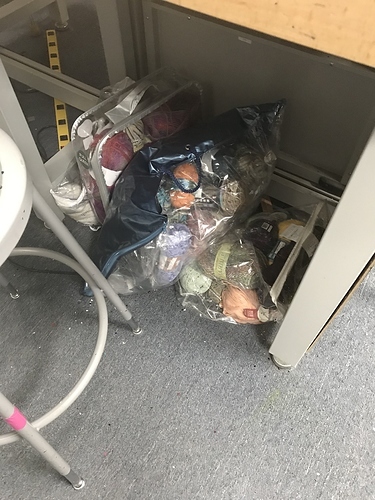 Looks like donation based on the wide mix of things that don’t go with each other and only a few skeins of each, plus three bags, makes me think it’s not a project someone left. Plus location it was left in (not where most of us do projects). We have plenty of teaching in the blue yarn bin, and some of this is nice. I’d say it’d be great garage sale fodder.